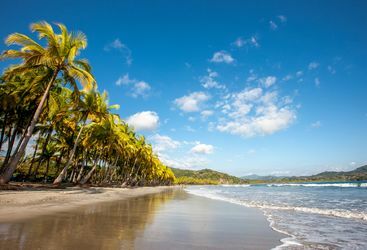 One big National Park, Costa Rica is filled with natural beauty, wildlife and this region is heaven for outdoorsy types. 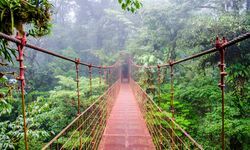 With its impressive waterfalls, La Fortuna is the jumping-off point on route to the very much live Arenal volcano, one of the absolute highlights of a trip to Costa Rica. 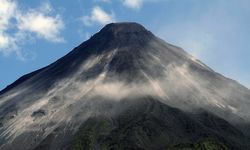 This colossal mountain is only visible if the weather conditions are in your favour, so while it is always a gamble as to whether Arenal will be shrouded in mist, on a clear day the mountain is simply stunning, with plumes of smoke hovering above it. 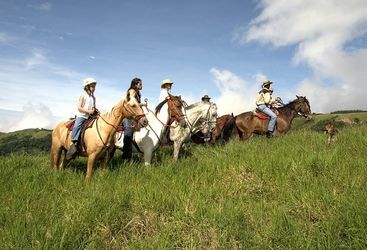 For the obvious safety reasons it's not possible to scale the Arenal volcano itself, however there are a number of hiking trails around the base that can be explored on foot or horseback. 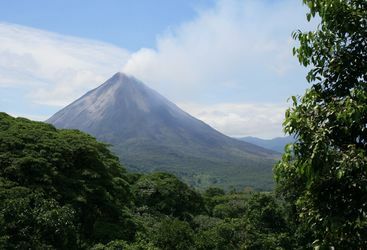 Lava flows are sometimes visible in the evenings on the slopes of the still eminently active Arenal, which makes for a spectacular view. 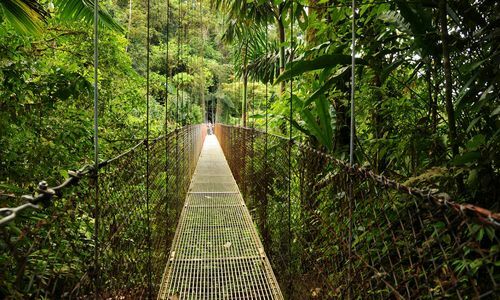 The National Park is also home to thirteen hanging bridges boasting spectacular views, and the more adventurous can explore the canopy by zip wire. 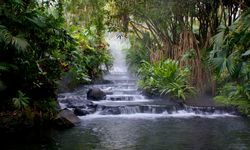 Rafting, canyoning and mountain biking are just a few of the other activities that you can do in the surrounding area - and the best way to finish off an action packed day is to relax in Arenal's thermal waters - Original Travel can recommend the best spot for this so you're not having to share your hot spring with the masses. 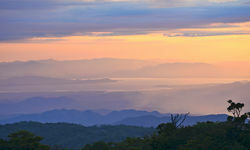 Near the volcano is the largest lake in Costa Rica, Lake Arenal, big enough for windsurfing, kayaking, boating and fishing. 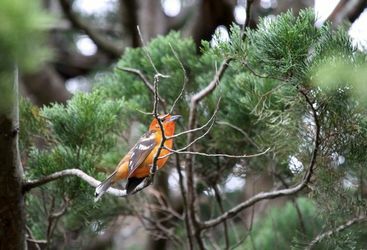 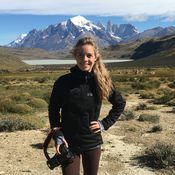 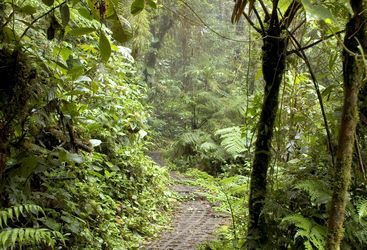 A 30 minute trip in a small motorboat across the lake followed by a car journey brings you to the Monteverde Cloud Forest Reserve which was set up by the Quakers who settled here in the mid 20th Century. 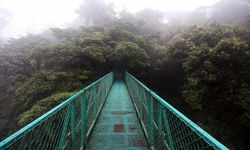 This high elevation forest offers miles of trails, walkways and hanging bridges with excellent opportunities for bird watching; the resplendent Quetzal can be spotted up here between January and July. 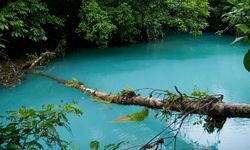 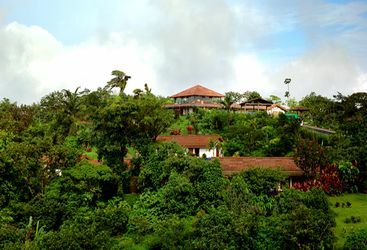 Alternatively you can explore the trails around San Ramon, closer to the Central Valley, which is one of the most outstanding wildlife sanctuaries in the tropics. 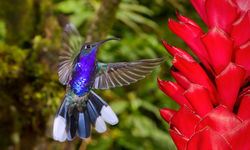 Here you can see the cigar making process in action - at one point this used to be one of the main exports in Costa Rican history. 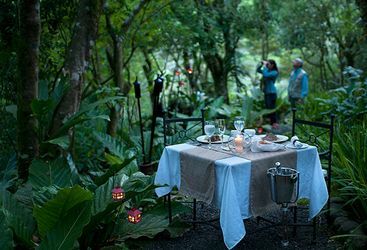 My highlight: Arenal Volcano is still eminently active - if you’re lucky enough to witness an eruption, the most magical sight is at night, when you'll see the glowing lava flowing down its slopes.